The Office of Fair Trading has accused drugs giant GlaxoSmithKline (GSK) of market 'abuse'. Here’s a bitter pill for GSK to swallow this morning. The OFT has released a ‘Statement of Objections’ alleging that the pharmaceutical giant paid rivals to delay the release a treatment for depression, paroxetine. 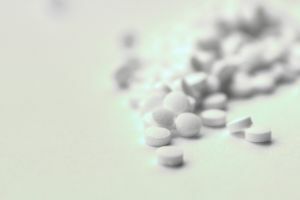 Paroxetine, (an SSRI in the same family as the world-renowned Prozac), labelled Seroxat by GSK, is also distributed (albeit tweaked and under different names) by Alpharma, Generics UK and Norton Healthcare. According to the OFT, all of these companies received money not to enter the market with their versions. If the OFT’s allegations are upheld, this could prove very tricky for GSK. It would mean that all parties involved have infringed competition law and that GSK has abused its dominant place in the market. A problem that could only be solved by forcing the company to sell off certain patents or divisions. A bit like what’s happened in the airline industry with landing slots – only with drugs. Basically, Pope is saying that if price-fixing if rife, the taxpayer is paying over the odds for medicine and the UK government is at the mercy of a drugs cabal. All the implicated firms will now be asked to respond to the OFT’s allegations, before the OFT makes a decision on whether or not competition law has been infringed.